Our Alessandro Dining Collection is handcrafted using centries-old techniques handed down by generations of artisans. Classic Italian dining chair is shown in walnut finish with gold accents. 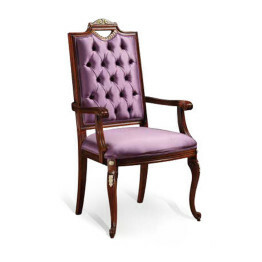 This elegant dining chair can be upholstered using Italian fabric or leather and is pictured with capitone/tufting. This arm chair will make your guests feel like royalty when they dine in your home. *Chair can be upholstered using your own fabric. Please talk to one of our Interior Designers to discuss pricing and options for sending your fabric to Italy. Our Alessandro Dining Collection is handcrafted using centries-old techniques handed down by generations of artisans. Classic Italian dining chair is shown in walnut finish with gold accents. This elegant dining chair can be upholstered using Italian fabric or leather and is pictured with capitone/tufting. 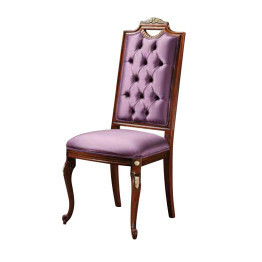 This side chair will make your guests feel like royalty when they dine in your home. 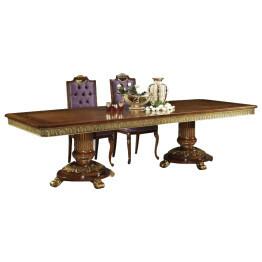 Alessandro Dining Collection, this table exudes strength and classic styling, boasting an inlaid wood top unique to this table, and set atop two gold accented Roman columns. Shown at 118″ length alongside GV879s dining chairs, it can also be customized in other sizes. 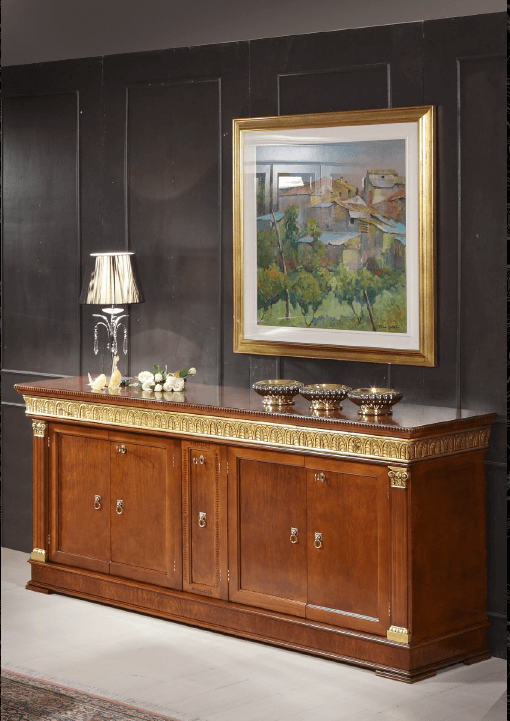 This beautiful handcrafted formal Italian dining table is Made 100% in Italy by skilled Italian craftsmen with generations of furniture building experience.